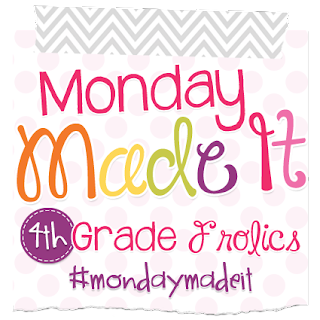 Monday Made it #3 - The Resourceful Room! 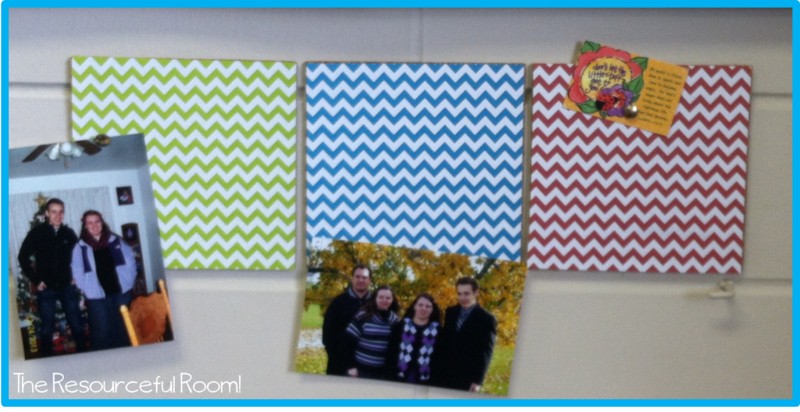 I really wanted a way to put up some personal family photos and quick reminders around my "teacher" area. I didn't want it to take up a lot of space, I have a few frames but I really wanted it up off the counter because I plan on using that for materials this year. I was in Michaels again looking for something when I found these..
Cork squares, they came in packs of four and were on sale for 60% off so I got 8 squares for less than $3! They are perfect for the space I am wanting to use them in. 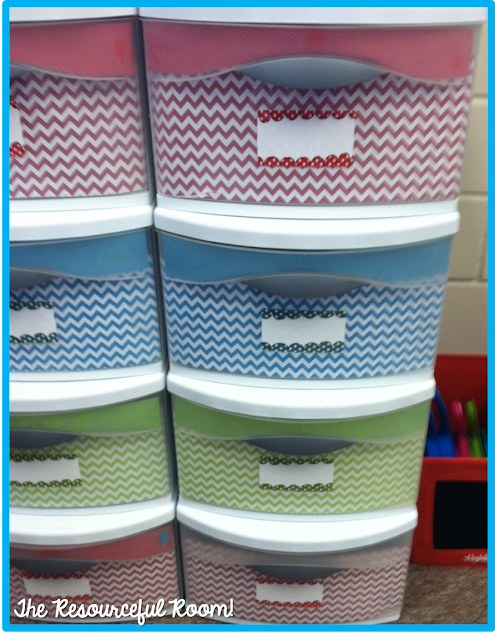 I wanted to dress them up to match my classroom so I got scrapbook paper in my colors, and spray adhesive. I cut the paper to fit each square and glued it on. The cork came with foam mounting squares which I used to attach them to the wall. Here they are in use! One last picture so you can get a better idea of the size. I only have three up right now but I plan to continue the pattern putting all 8 squares under this bulletin board. I am excited to have this place to pin things where I will easily see them! Here it is in that empty space. 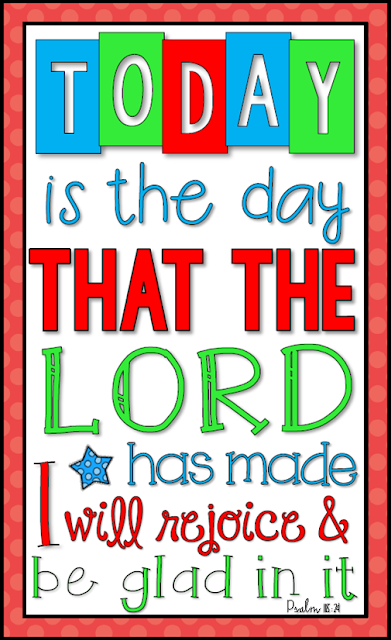 I love the reminder every time I look at the clock! You can click on either of these pictures to download this print free! Finally for this week I re-decorated my plastic drawers that will hold my science and social studies units. I used scrap book paper from Hobby Lobby and double sided tape to attach it. Since It's just me using the drawers I think it will hold up fine. I created the labels and printed them on business card stickers. I laminated them before sticking them on so I can write on them and wipe it off later if I need to. I know my units keep changing so I like to be able to change the labels easily. My classroom is really coming together. Looking forward to sharing the finished product soon. Right now I am waiting for a whiteboard to replace my chalkboard, then I can finally finish the front of the room and I'll be ready! Love the simplicity of what you have made! 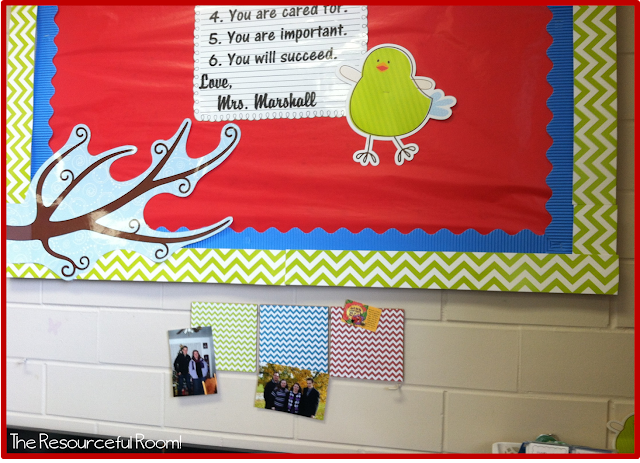 Love the cork board -- never would have thought of doing that! I did the cork board thing last year. I absolutely love it! It was also a great spot to hang the lunch list! The corkboard is a great idea. I have TONS of frames around my room and they certainly do take up a lot of room. I might need to do just what you've done! So cute!! I love that your cork boards and plastic drawers match! 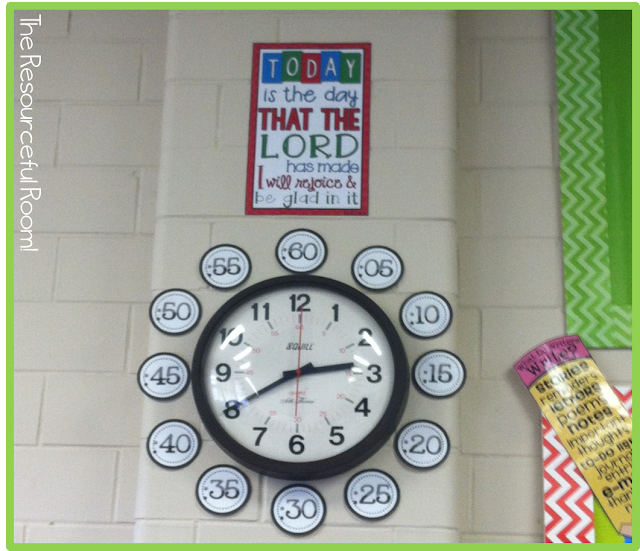 Love the colors of your classroom. 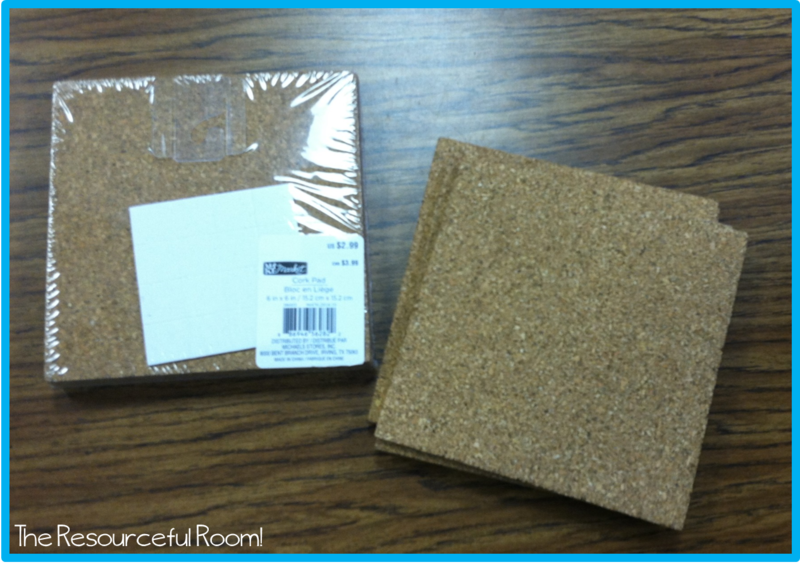 I will really just have a cubicle for myself this year (I am an ESL teacher) but I still may use something like those cork squares. I purchased your Dots on Chocolate Binder Set in 2013-14 and did not get an update last year. I was wondering if I could get an update for this coming school year? 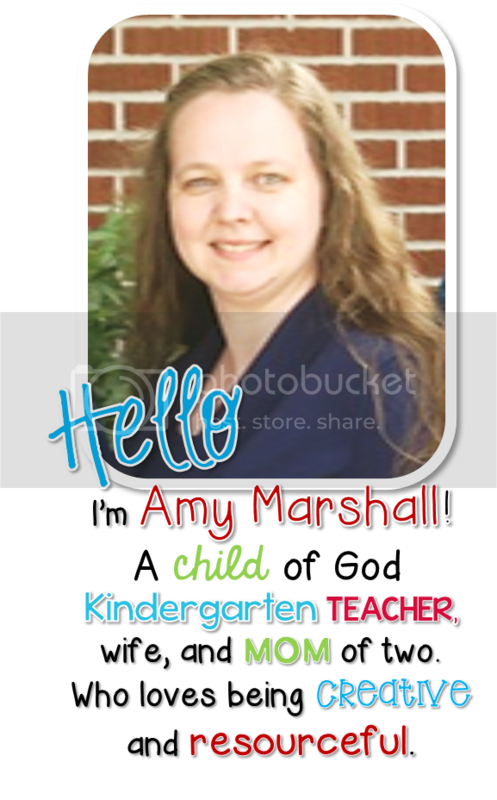 My school is revamping their phone/email so I am giving you my personal email info, bobbikmettler75@gmail.com Thank you! I really love your Dots on Chocolate, it goes with my décor so well!